My Family Was There. Both my aunt and uncle on my Dad's side came to the conference with their spouses, as well as my parents, my children and of course Kim. That is what it is all about isn't it? It was so fantastic to have my family there with me at a family history conference. One of the major highlights for me was all of the DNA kits we purchased. Between all of us, let's just say we took home a good portion of the 15,000 kits Ancestry sold. Yes, I'm on the cusp of a DNA overdose. I can't wait. Likewise, so many other genealogists were able to bring their family too. 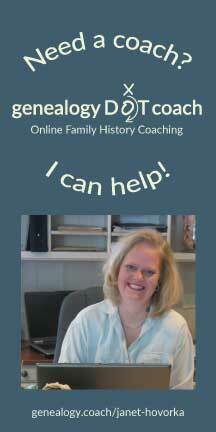 It was fun to meet Mothers and Fathers and kids of other genealogists. That's what it should be like. Endorsements. The very first day, we had a very popular genealogy figure come tell us she was ready to endorse us. She has been careful to be fair and slow to endorse particular companies so that made my day. I respect her opinion and we are pleased to have gained her trust. We also had several other well-respected and well established organizations come to us about partnerships and help with printing and design. We take the trust we have with genealogy companies and other genealogy entities very seriously so we were thrilled with all of the new endorsements we gained last week. We can't wait to solidify them and tell you about them soon. Our FANTASTIC Family ChartMasters Team. We thought we were incredibly overstaffed but we were entirely understaffed. Our new employees, Christine Fazulyanov, and Michelle Phillips were incredible troopers and worked so hard. Erin Roudabush and Lara Orchard who have been with us for years were amazing as always. And Susan McGhie, our new sales help was great--she knew all about our processes because we recently did a fantastic chart for her--she even found some new cousins by showing it off. We even pressed Mom and Dad into service and they were a great support again. Everyone worked non-stop and we were able to help lots of people with charts and with Zap ideas for their youth. Just what we came to do. We haven't seen anything but growth over the last several years so we are confident we are delivering a good product. We always want to hear what you think about how we can do better. Let us know. We really want to help you create amazing charts. catching on to how wonderful family history is. A hearty thank you to FamilySearch for being able to spend the money to be able to grow this audience. We are so pleased to have a conference that is starting to look like Comic Con. Family History is that cool. I'm so thrilled that the rest of the world is finally figuring that out. The constant crowds of people were awesome. Friends In Real Life. So this part was great and also not so great. We honestly have a family in the genealogy world. I really care about these friends I see at conferences and online. We've become close. So I love to see them in real life and catch up with what is going on in their lives. So many hugs. This time, several of my friends had been through huge challenges that you wouldn't share in social networking. It was heartbreaking to hear about these challenges, but I'm so glad to know the whole truth. I'm hoping I can find some small ways to help. I really appreciate that they felt they could be honest with me and hope the hugs helped a little. My Neighbors Were There. One of my great joys was having many of my neighbors, and other friends who live in Salt Lake City show up. 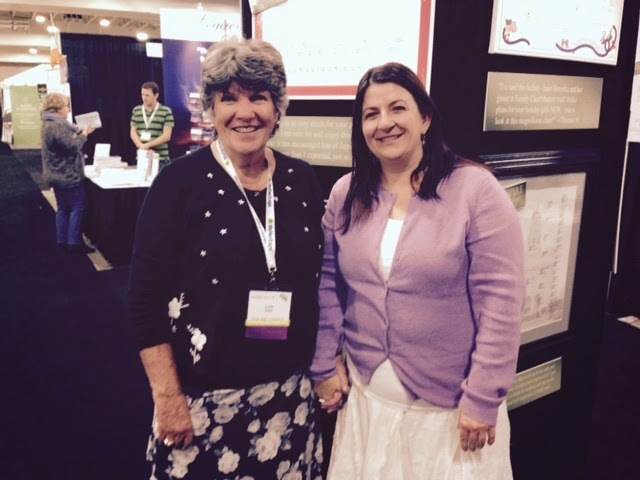 It was so wonderful to see people that I don't usually see at a genealogy conference being curious. I'm so excited that RootsTech has been able to reach that far. I hope the next step is to take it on the road to other parts of the country. 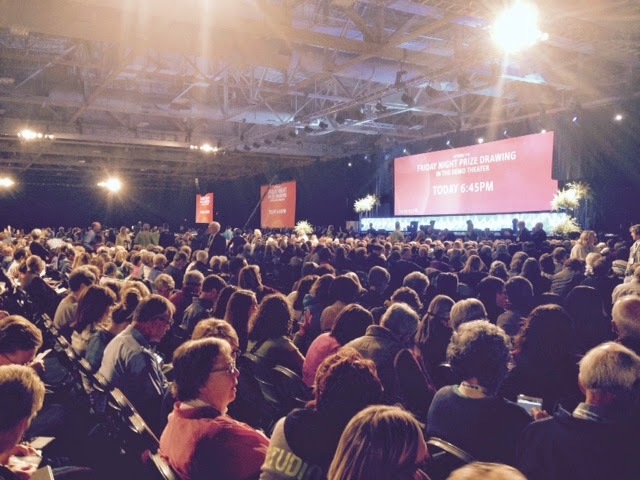 The RootsTech Program. I didn't catch much of it but the parts I caught were phenomenal. If the rest of the conference was as wonderful as the sessions I was in the whole thing was amazing. Great content. My favorite part was the new song and video from David Archuleta for FamilySearch and Ancestry's big move into Mexico. The video still hasn't been released here but one of the attendees posted David's second performance of the song on YouTube. Love It! Can't wait until Studio C releases the video they played Friday night too. Great stuff. Fun to introduce my Genealogy friends to Studio C too. As if the 17,000 excited people in the room weren't enough to be happy about. The Kids. There has been a little bit of online banter about whether or not all the kids who descended on RootsTech Saturday were actually all that interested. They may not be interested yet, but if we can make RootsTech fun, offer swag and some bags of candy, a little Studio C, hopefully they'll come along. Count me in to do everything I can to help make this their first step. Hopefully they'll progress towards the strong identities, resilience and self esteem they'll find as they learn more about family history. Again, this is absolutely what a family history conference should be like. We need this next generation desperately. It should be a family endeavor. If, as a genealogy vendor you felt like this wasn't your market, you need to make it your market. New market is good. Let's grow! RootsTech has delivered this next generation to us and we all need to do everything we can to make sure they love family history. I'm all in. The one thing I wasn't thrilled about was my lectures. Even though I was really well prepared, after days of go go go, I don't think I was at the top of my game. I really appreciate the people who came up afterward and said they liked what I had to say. They taped the "6 Steps to Choreograph Your Research Across The Internet" but I'm not sure when it will be available. If you want to see the lecture, a better option would probably be to sign up for the SCGS webinar on this coming Wednesday where I am giving it again. I will have had more sleep so I think there won't be as many "ums" Either way though, I hope the lectures helped some people organize their research more. But I hardly got to see them--we were all going 10 different directions. Thanks to Family Tree Magazine for the great dinner we had, and for everyone who we got to eat with at other times during the conference. It was so good to have time to chat. That is always a favorite part of any genealogy conference. All in all, I think our Ancestors are pleased. The genealogy community is stronger and our family relationships are tighter. All is good in the world. Wonderful post, Janet, and so positive! I'm so happy that I got to see you again. 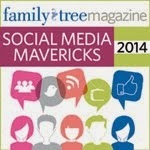 Genealogy is going in the right direction and RootsTech is too. What a blessing! Janet, you and all the ladies (and gentlemen) at your booth were wonderful!! Your dad was so sweet and gave me a HotShot ribbon!!! Great time! Three of my children and many teens from my local youth group were among those that were probably just "interested in the swag", my twelve year-old in particular. However, I still believe that this was a great experience for them. It exposed them to something that they hear about all of the time, but know very little about. As a beginning Family Historian (who was pretty overwhelmed at RootsTech), I enjoyed the conference and it got me interested in learning more about family history. I hope to take my family to enjoy family day at RootsTech again next year.